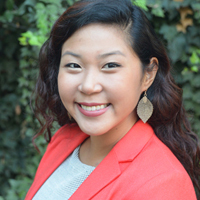 Julia Kim joined the Local Government Commission in March 2015 as a Project Manager, working with the Climate Change and Energy teams. Her current projects include supporting the Statewide Energy Efficiency Collaborative (SEEC), the Alliance of Regional Collaboratives for Climate Adaptation (ARCCA), and CivicSpark. Julia also serves on the board for two environmental nonprofits – Women’s Environmental Network and EarthTeam. Julia has a BA in Political Science and Philosophy, and a Masters in Environmental Policy and International Security and Economic Policy from the University of Maryland. The Local Government Commission (LGC) is a non-profit organization that works to build livable communities and local leadership nationwide. The Office of Planning and Research (OPR) serves the Governor and the Cabinet as staff for long-range planning and research, and constitutes the comprehensive state planning agency. CaliforniaVolunteers addresses state and community challenges by investing in high impact service solutions, while leveraging public, private, and nonprofit partnerships and resources. As an AmeriCorps program, CivicSpark is administered by CaliforniaVolunteers and funded by the Corporation for National and Community Service.